English Cream Golden Retriever Puppies AKC Champion Russian Lines. Beautiful white puppies with loving temperaments. Accepting deposits Now!!! OFA Clearances for Hips and Elbows. For more information and Pictures visit our website. 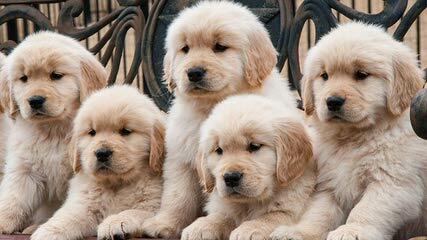 My family and I are interested in buying a new-born golden retriever. If you could let me know details and a time that we would be able to come in that would be great.